In a recent webinar, an adult educator from Wisconsin asked me which vocabulary words to focus on for the 2014 GED® Test, especially for Science & Social Studies. Here are some resources to help GED® Test Takers prepare. One of the most effective ways to learn and remember information is to create flashcards. 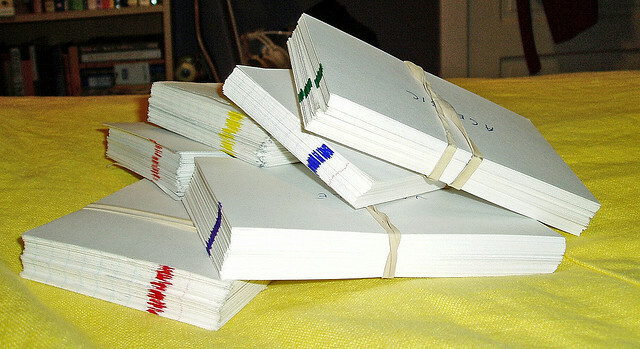 You can use index cards or blank pieces of paper to write a word on the front and the definition on the back. Then look at the word to see if you can remember the definition. Create two piles: one pile of words you remember before turning it over to looking at the back, and a second pile of words you can’t remember right away. The next day, come back and try your stack of flashcards again. Every day you will remember a few more words. But what words should you put on your flashcards to study for the GED® test? What words should GED® Test Prep teachers focus on defining for their students? This depends on your goals. If you are just looking to pass, I would recommend the General Service List. When you look at the list (ignore the numbers), I bet you know most of the words already! Scroll down until you find a word you don’t know yet. Write the new word on one side of the flashcard, then search Dictionary.com for a definition to write on the other side. If you want to earn a higher score on the GED® test to prepare for a job training program or college, then you need the Academic Word List. The “headwords” are organized into 10 sublists, with the most common words in sublist 1 and the least common words in sublist 10. Teachers and tutors preparing lesson plans need a little more specific guidance on which vocabulary to choose. You’ll need some background information about the General Service List and guidance on how to use the Academic Word List. In addition, when developing my lesson plans, I use chapter 2 in the free GED Testing Service publication Assessment Guide for Educators. For Science and Social Studies, I look at the Content Topics to select a theme, then find two or three related Assessment Targets. This information will already tell me the most important vocabulary in the lesson: are we learning about states of matter, or the Emancipation Proclamation? Selecting words from the General Service List and Academic Word List that are relevant to your theme will make them stick so much more! 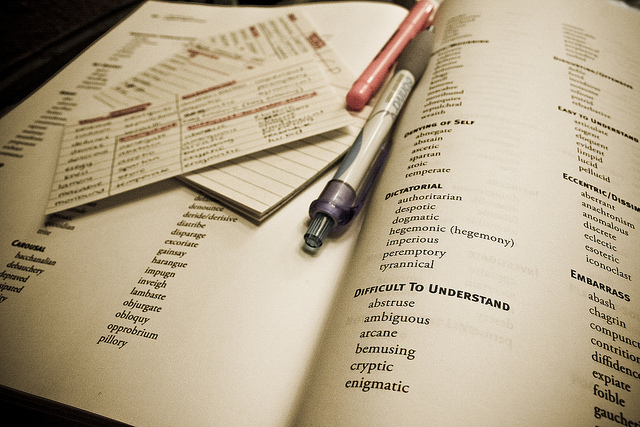 I’m interested in your thoughts: how do you study or teach vocabulary for the GED® Test? Thanks for your work and organization skills. Your site is a boon!